Green grass stretched out in front of the University of Indianapolis women’s golf team for the first time in months Feb. 24-25 in Austin, Texas. 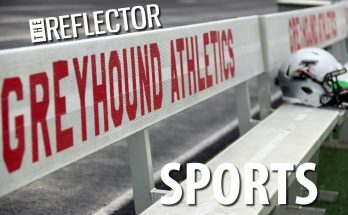 The St. Edward’s University Hilltoppers hosted the Greyhounds and 12 other teams in the 14-team St. Edward’s Invitational. 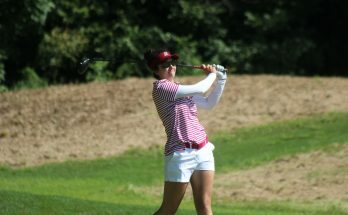 UIndy placed second in the tournament, falling by just one stroke to the host Hilltoppers. “It [the team’s performance] was very good for not seeing grass until we got to Texas. We beat four top-25 [ranked] teams. We finished runner up by one stroke to the team that’s hosting and is ranked fifth in the nation. So that was a pretty good start for us,” said Head Golf Coach Brent Nicoson. The Hounds exceeded Nicoson’s expectations for the invitational. After placing sixth on the first day, the team came back the next with a total score of 307, placing at the top of the field for the day and moving to a second place finish. Nicoson attributed the change between the first day and the second to the additional time outside and better concentration. Senior Jenny Konop said she saw improvement in her team as well as in her own game from the first day of competition to the second. 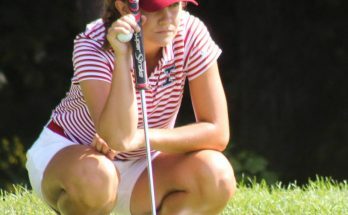 Previously All-Great Lakes Valley Conference Player of the Year, Konop averaged a 76.5 score for the 2013 fall season. On her first day, Konop shot a disappointing 88. “Personally, I didn’t play very well the first day. But I’m very happy with my teammates and especially some of the younger girls on my team that really stepped up and played well,” she said. Konop adjusted and came back the second day with a 77. Konop said she was pleased with the way the team finished and was, along with her coach, happy that they placed better than expected. She said that the team was more comfortable the second day. In the future, Nicoson said he will look for more improvement in the team. Consistency, according to Nicoson, will be the key. He said the team needs five women playing well and hopes the team will make easy shots and remain mentally tough. He said he knows the team is talented, and if they do not give away easy shots, they will do well. Konop said she also is looking towards more improvement in the team. UIndy will travel next to the Augustana Spring Fling, Mar. 13-14, in Palm Desert, Calif., with a time for the competition still to be determined. Nicoson said he hopes to see his team members contend for a win out west as well, even though the cold weather at home is hurting them. When regional play begins later in the season, Nicoson said he believes the playing field will be more equal. In the meantime, he said he hopes to see continued progress from the team.